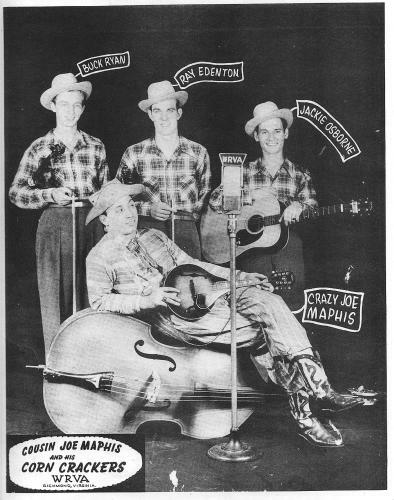 Following the Michael Simmons track about the Osborne Brothers Bluegrass/Tiple connection I felt on a great Nashville artist and one of the rare great recorded tiple players. 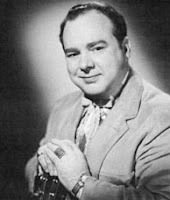 Ray Edenton started his career in radio in 1946 and playing bass fiddle with the Crazy Joe Maphis early 50's group the "Corn Crackers" . Later he became a major country music and bluegrass sideman guitarist in the Nashville studios from 1953 to 1991, with 15,000 sessions on the clock he had time to experiment different instruments and tiple was one of those. 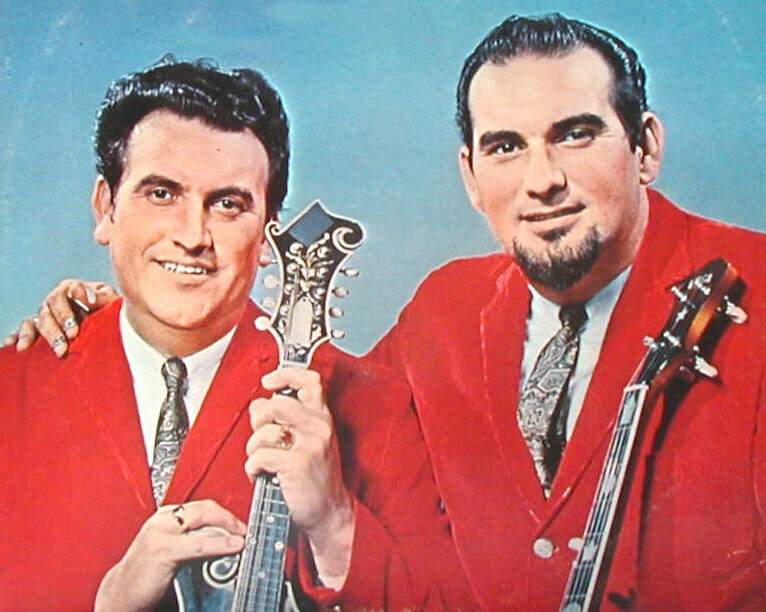 At the end of the 50's bluegrass producers search for new sounds and instruments melted flavors: mouth harps, pianos, accordions and sometimes tiple follows the slide guitars and the sacred "banjo mandolin fiddle guitar" combinations. 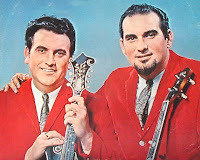 in 1959 with the Osborne Brothers , then for the 1959 Mac Wiseman "Great Folk Ballads" album and in 1962 again with Wiseman for "Bluegrass Favorites"
On two of the Osborne Brothers tunes the tiple is well recorded, nice open playing reveal the typical sound on songs intro and counterpoint , Ray is obviously an accurate tiple pick player playing arpeggios and clean chords rolls. 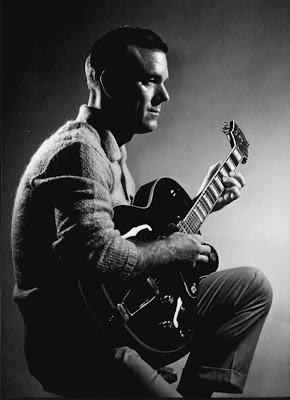 On Mac Wiseman "Great Folk Ballads" in a more "high" mandolin sound and playing he echoed and counterpoint the two guitars, one played with nice middle tones embellishments probably by Chet Atkins . On "Bluegrass Favorites" it's quite hard to sift out of the mix the tiple parts, Benny Williams the mandolin virtuoso is clearly in front of the band for most of the tracks. 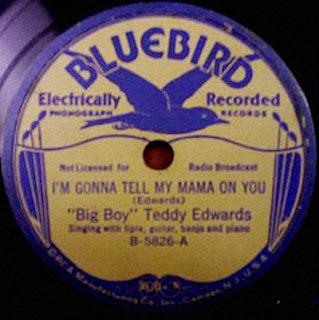 Chicagoan Big Boy Teddy Edwards was one of the rare early blues tiple player and certainly the only recorded blues singer with a tiple for this period (20's 30's) .
" Singing with tiple, guitar , banjo and piano "
Little is known about "Big Boy" Teddy Edwards, a Chicago singer played both guitar and tiple and cut around two-dozen sides between 1930 and 1936 as well as contributing vocals to sessions by the Hokum Boys and Papa Charlie Jackson. Big Bill Broonzy recalled working with him and Papa Charlie Jackson. Today we spin the solo "Alcohol Mama" and the band backed "W – P – A Blues", a terrific cover of the Big Bill number. A complete recordings compilation with a lot of tiple on Document Records . "Them Things" "Family Troubles" "I Ain't Gonna Give You None" "Lovin' Blues" "Wild Woman Blues" and "Alcohol Mama", all are epurated blues with a straight tiple strumm that simply push in front the wonderfull singing part, no solo, breaks or effects. The others recordings with the combo, more in a "pop blues"style, offers another kind of tiple playing, with sometimes intros, solos and elaborate strumms as maybe Big Bill Broonzy plays beautiful conterpoint guitar bass lines . Details of the tiple sessions with possibly Big Bill Broonzy on guitar acc.